Hi everyone! I thought I’d post an update about what’s been going on with me, seeing as it’s been a while. During the last week, something pretty amazing happened to me and the hubby. Our collective savings hit the milestone level of £50K (around $67K USD in today’s money), which was something we were aiming to achieve by November 2017, over a year on from now. Our current situation seems so very different to how things were some three and a half years ago, when we were massively in credit card and loan debt by over £41K (approx. $55K USD today). At that time in our lives, we’d been struggling with debt for 15 years and were barely surviving financially from month to month. We were even in a debt management plan because we just couldn’t afford to pay our debts in full every month. If you’d have asked me back then if we could have cleared our massive debt in this short time and turned our situation around so that we actually had money, I’d have said it was near on impossible. This is especially the case, given the fact that we were both earning a lot less than in previous years. Yet, with a LOT of determination and hard work, we’ve given ourselves a financial makeover! So what’s changed in our finances? 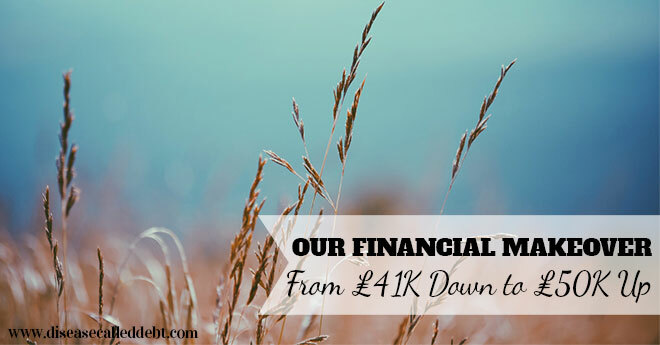 We cleared our debt in just 22 months through saving as much money as possible, making lots of cutbacks and putting a lot of effort into earning more money. We also received a PPI refund and we put every penny of it into paying off our debt. My own earnings have gone up quite a bit since I first started this blog, which have helped with our savings goals. I make a living online, through freelancing and blogging. Because of my increased earnings, we’ve now got a point where we can save quite a bit most months, if we really put our minds to it. Time played a part in us actually having some equity in this house, as back when I started this blog, we owed as much on the mortgage as the house was worth. Over the last few years, it’s been a real struggle to afford the upkeep of the house and deal with the awful tenants we’ve had too. We’ve been out of pocket several times but there we go, it’s sold now and we did get some money from all the blood, sweat and tears that went with it. What will we do with our savings now? We’re planning to use our savings to put down a big deposit on a house of our own in the area where we currently live. We have our eyes on somewhere that would be affordable and we think we’d be able to buy it for a decent price. We’ve been renting ever since we relocated in 2012 and we do want to buy our own place. The problem we’ve got though is that because of our debt management plan, it’s tricky to get a mortgage without a huge deposit. To be honest, we’d want to put down a big deposit anyway, because we’ll end up with less mortgage debt and more equity. Once we’ve got ourselves on the property ladder again, our goals will be to overpay our mortgage and invest money for retirement too. As much as I know I’ll want to pay off the mortgage asap because I hate debt, I know it’s equally as important to work on our goals for retirement planning. I wanted to share this achievement with you, because I’m hoping to inspire and motivate you if you’re currently struggling with debt and wondering how to make things better for yourself financially. If this is you, please take a look at the paying off debt and making money sections of this blog! The biggest takeaway from this post is that even though we finally became debt free, we didn’t just rest on our laurels and relax. We continued to work at our finances to try to make things even better than we thought possible. We’re not rich, we actually earn pretty average salaries between us, but we make the most of our money as much as we can. We don’t fritter our money away on things we don’t need. We don’t buy anything that we can’t afford. We do weigh up every purchase to see whether it’s worth the expense. And we carry on working hard all the while. So that’s what’s been going on with me – I’d love to know what’s been going on with you lately! How are your finances stacking up? *Images courtesy of Unsplash with text overlay added. glad to hear your house finally sold! Can I ask why you want to buy instead of just rent if you don’t like having debt? Glad to hear things are going so well! They may have different reasons but for me, if you rent you have to rent for life, when you are 80 or 90 you still have to find that rent payment each month. Whereas if I buy, the mortgage will be paid off and the house will be mine. When I retire I won’t have to still find the funds to cover rent, I won’t have to worry about the house being sold and having to move, I won’t have to worry about the rent increasing. Hi Nicola, thanks for stopping by and commenting! I can relate to your reasons for home ownership too. That’s a good point about rents increasing. I guess if someone has enough money from their pensions or other retirement fund to pay the rent should they reach their 80s or 90s, that would be fine. But it’s a risk isn’t it that retirement money could run out? Especially as in general people are living longer these days. Wow that’s such an achievement! I really have to watch myself – I’m terrible at resting on my laurels and chucking my money around whenever I have any to spare. I just try to ‘spend’ it on my ISA and hope that tricks my brain into getting that shoppers high. I’m saving up for a deposit but man, house prices in the UK are ridiculous! Thanks Caroline! I think spending money on your ISA is a great way to go! And yes, totally agree house prices are sky high in some areas. The stamp duty is the worst though! Congrats on your amazing financial turnaround, and on the sale of your house! You’re right to keep at it with hard work and savings, but you should have a bit of a celebration to mark your progress. As for me, I’m happy to report that I was under budget for August and the next few months look like they should be good as well. Gary @ Super Saving Tips recently posted…Moving to Another City: Are You Ready? I liked the story! Congrats! That turnaround is really a breakthrough! Now, you have achieved your target, and it feels like it would continue to hit another target. I am just happy for the both of you. Congrats on hitting this huge milestone way ahead of plan! Thanks so much for sharing – you’re an inspiration! This is inspiring! It definitely pays to live frugally, even once you are debt free. I hope I keep my new mindset well past paying these debt bills. Woooooo! Congrats! I think your story is one of those stories about how debt has at least a tiny good side in that when you face it head on, the lessons you learn stick around for life – I know I feel that way anyway! Congrats on the milestone and so far ahead of schedule! Congrats on the huge progress you’ve made so far! It’s wonderful to see success stories when people put their minds to it, and make the most of every opportunity. 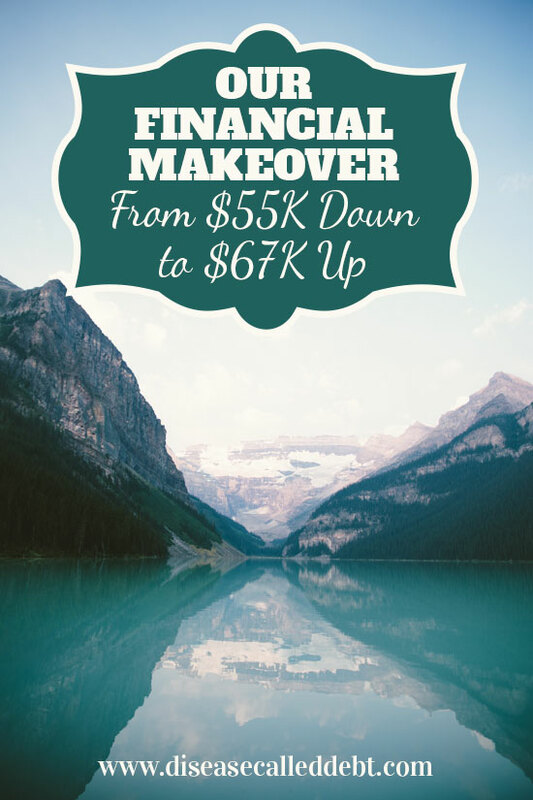 We’ve come a long way as well but the debt that I dealt with, on my own before marriage, was so steep that it left me in a frugality mindset for about three years after it was all cleared and done. That’s not a bad thing, of course, it meant that I built a fair foundation of investments and savings, and so when I shifted out of the scarcity mindset to a wealth building one, I was already well on my way to building up our wealth. Ideally, the actions I take now are just as significant and get us really close to retirement level assets over the next decade. That’s fantastic news, well done! So exciting for you too to have your goal in sight, and inspiring for me as it’s a goal that I share. It is so true that to own outright gives security in old age, I know a few people in their 40s and 50s in rented accommodation, they have a low wage and little or no private pension. What’s it going to be like for them as renters on a state pension alone? Some commentators deride Britain’s ‘home-owning obsession’ compared to the rest of Europe, but across the Channel the laws are far more in favour of the tenants and many countries cap rent increases. Go for home-owning security, I say!